The God ﻿Man﻿ Series is far more than a regular Bible study series. It is a highly relational, interactive, ﻿and﻿ multimedia experience. Although effective with a wide range of people, it is especially meaningful for those who are Asian Americans, postmoderns and others with similar cultural orientations. Taking into account the highly relational nature of Asian Americans and postmoderns, The God Man Series focuses upon getting to know Jesus and how he related to his closest followers and others around him, both groups and individuals. Instead﻿ of offering instruction on Christianity through didactic teaching and linear reasoning as evangelistic programs arising out of traditional western evangelism often do, this series integrates the truth of who Jesus is and what he teaches into stories narrated in the first person based on the actual encounters various people had with Jesus as recorded in the Bible. These re-imagined stories introduce them to a person they can get to know rather than to a doctrine they must believe in. And, these stories reveal, not only how the individual lives of those who met Jesus were dramatically transformed, but also how their relationships to family and community were changed for the better as well. The God Man Series ﻿comes﻿ in two versions: The God Man Seeker Series: Meeting Jesus For The First Time, a ten-unit study series for those who don’t yet know Jesus, and Meeting Jesus: Face-to-Face with God, a six-unit study series for Christians and churches which shares the same core content as the Seeker Series. well I actually know Jesus...The questions(s) of ‘Who is Jesus?’ and ‘What was he like?’ are profoundly thought provoking. Valley Springs Presb﻿yterian Church in Roseville, California used the basic stories of Meeting Jesus: ﻿Face-to-Face ﻿with God as a pre-Easter Bible study series that began at the church's anniversary celebration and concluded just before Passion Week and Easter. They were able to start twenty-five new small groups as a result. The video to the right was taken during a celebration and appreciation barbeque for the small group leaders who led the Bible study series in their homes. 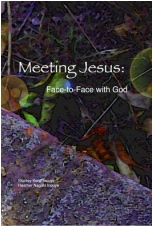 Meeting﻿ Jes﻿us﻿: Fa﻿ce-to-Face with God uses the same six-unit study series as The God Man Seeker Series designed to enable Christians to meet Jesus as a person with whom they can have a deep, personal, day-to-day, moment-by-moment relationship. The re-imagined, first-person narrative stories of this study series transport listeners back into the original encounters Jesus had with real-life people who were miraculously transformed by meeting him. The people in these stories include Zacchaeus, The Woman at the Well, Bartimaeus, The Centurion, The Demoniac, and The Rich Young Ruler. 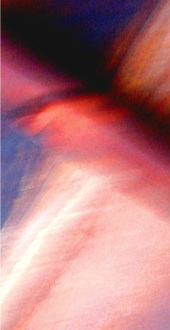 In addtion, this book includes Reflection Questions for personal as well as group discussion followed by a Personal Application Starter and Personal Application Questions which are intended to help group participants after the group meets realize implications each story may have upon their personal lives. The book version of Meeting Jesus has been reformatted from its previous binder format for piloting and field testing and is ﻿﻿now available for purchase on﻿﻿ Amazo﻿n.com. The God Man Seeker Series: Meeting Jesus For The First Time is a te﻿n-unit study ﻿series﻿ designed to enable those who don’t yet know him, to meet the Jesus of the Gospels as a fully human yet fully divine person whom they can know and love, and with whom they can have a deep, personal relationship. The first two studies introduce Jesus through TV programs: the premiere episode of “Joan of Arcadia” and the ABC documentary, “Jesus and Paul.” The next six help participants get to know him through the six people whose stories are featured in the book, Meeting Jesus: Face-to-Face with God, highlighted below. The last two studies help participants pull together many things they experienced, through a 90-minute movie, “Joshua” and a time for celebrating and sharing what they gained. This series is in a loose-leaf binder format that was used for piloting and field testing. It will be available in a digital format in the future. ﻿﻿The audiotapes to the right were recorded for the piloting of ﻿﻿﻿Meeting Jesus: Face-to-Face with God﻿﻿﻿ ﻿﻿at Valley Springs Presbyterian Church in Roseville, California by Paul Robins, the host and anchor of “FOX40 Live”, the morning show on Sacramento's Fox Television affiliate (KTXL). The Zacchaeus Encounter and the Woman at the Well Encounter have been omitted because they have since been edited and are different than those found in the book described below. We have also found that live readings of the stories have been just as, if not more, effective as listening to audio taped recordings. We are exploring the possibility of videotaping or audiotaping dramatic readers who are Asian American for Asian American audiences to see how much this factor might be a key dynamic impacting effectiveness. The following audiotapes are provided to help you decide whether you would like to order the book for yourself or for your group. You may also use these audiotapes if you decide to lead a small group through this series and find them to be a helpful resource for your group.